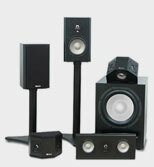 If you're interested in a home theater speaker system, contact us for a recommendation based on your needs. If you have a floorplan or room layout, send it to us online from this page, or contact us for faxing instructions. 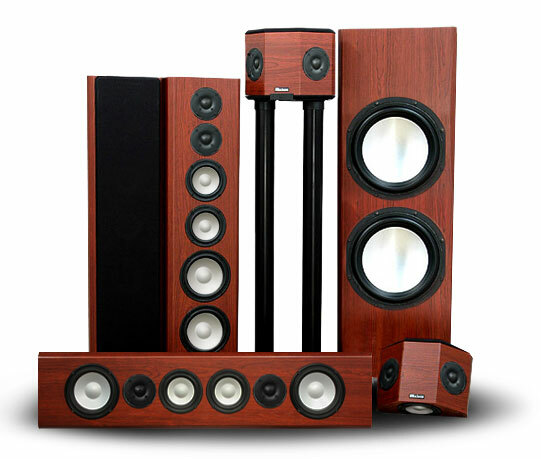 One of our Audio/Video experts will work with you to recommend loudspeaker selection and placement, and help with other questions you may have about audio video equipment selection including receivers and amplifiers, room design, and acoustical considerations. 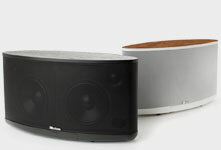 If your listening area is small, like a bedroom or den, consider compact stereo speakers. 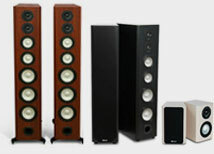 If you are putting the speakers in a large great room, you'll want to look at our floorstanding tower speakers and subwoofers for thrilling musical reproduction. Worried about space? 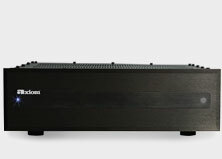 Axiom has a hi-definition in-wall speaker line that delivers no compromise sound without taking up any floor or shelf space. Get your own personal audio/video advisor. Call for personal advice Toll Free at 1-888-352-9466 between 9am and 11pm Eastern, Monday to Friday, or 10am and 9pm Eastern, Saturday and Sunday, or e-mail us anytime. We're happy to help! Alan Lofft (pictured left) former editor of Sound & Vision (Canada), senior editor of Audio (New York) and his team of experienced experts, will give you down-to-earth, honest, friendly help.